Poker, BBQ Grill, & Spark Screen free with every fire pit! 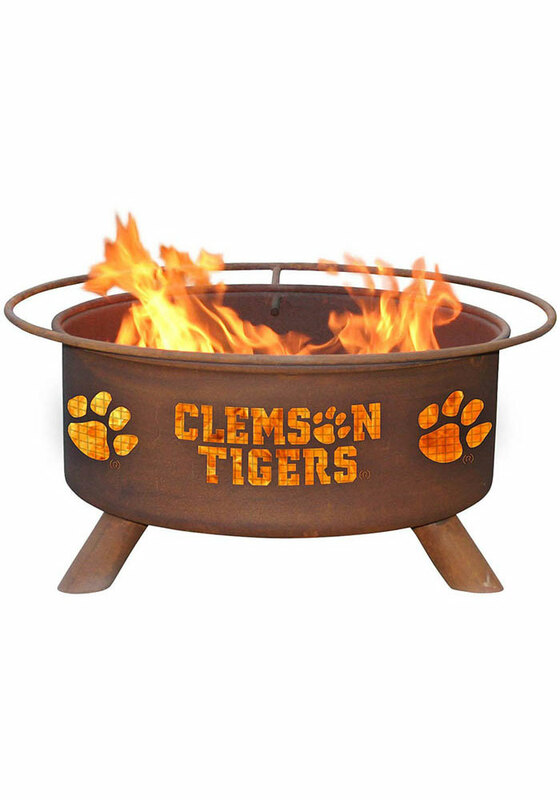 Gather your friends around this Clemson Tigers 30x16 Fire Pit, perfect for night time watch parties and tailgates. This Fire Pit features a natural rust finish with the Clemson University wordmark and team logo on the side. A poker, BBQ grill, & spark screen is free with every fire pit. Go Tigers!